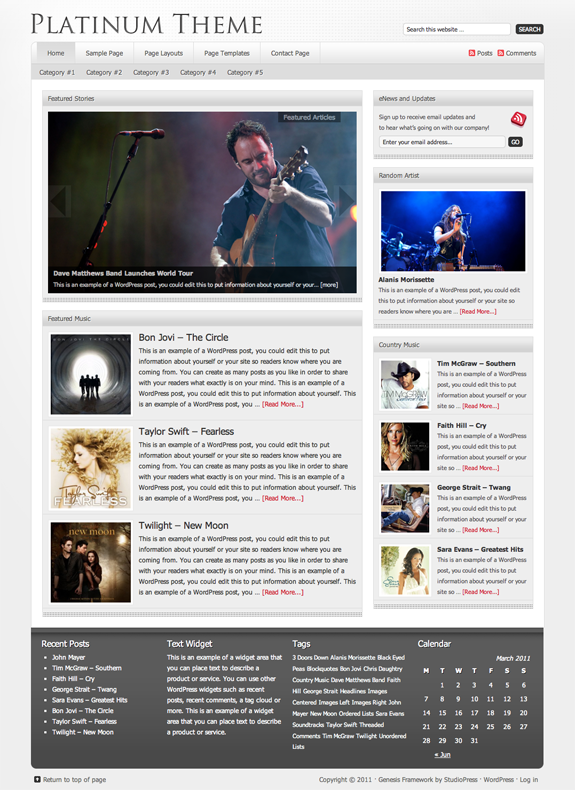 The Platinum premium theme offers up plenty of variety to fit the needs of any blogger. The design is clean enough to appeal to the minimalist in all of us, but it features plenty of powerful features on the back-end to make it adapt to any setting — the only limit you have is your imagination. Platinum can be used to tell a great story and showcase your talents…it is a wonderful way to let you take the stage and help you shine. Additionally, all StudioPress themes feature the powerful Genesis Framework. This allows users to separate design and aesthetics from their core code so that search engine rankings aren’t hurt when you change the look of your site!